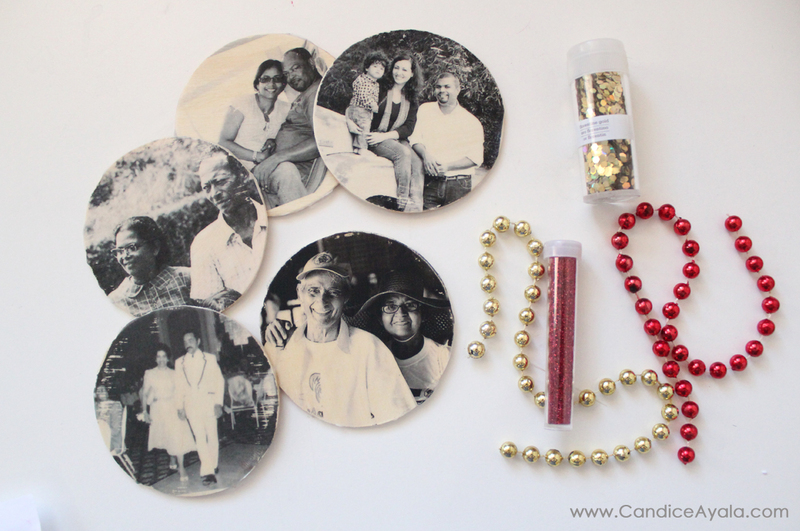 OPTIONAL MATERIALS: Any glitter, trim or decorative medium you might want to use to decorate the ornament. 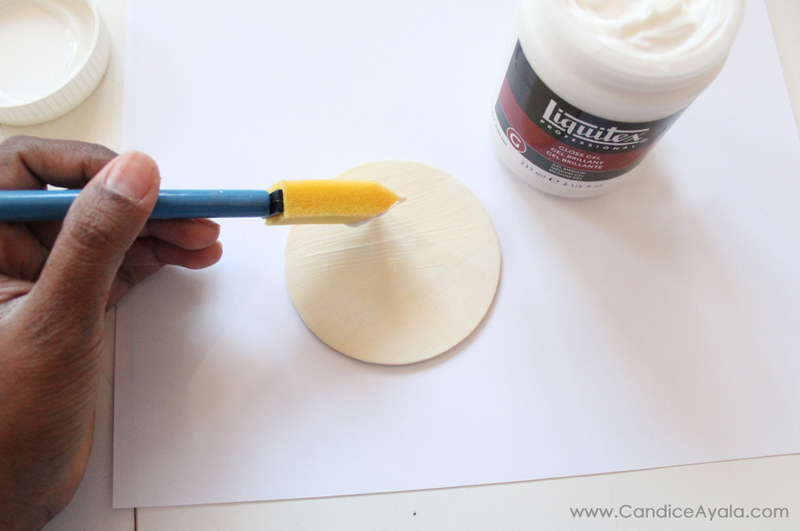 STEP 1: Make sure that the surface of your wooden circles are nice and smooth. 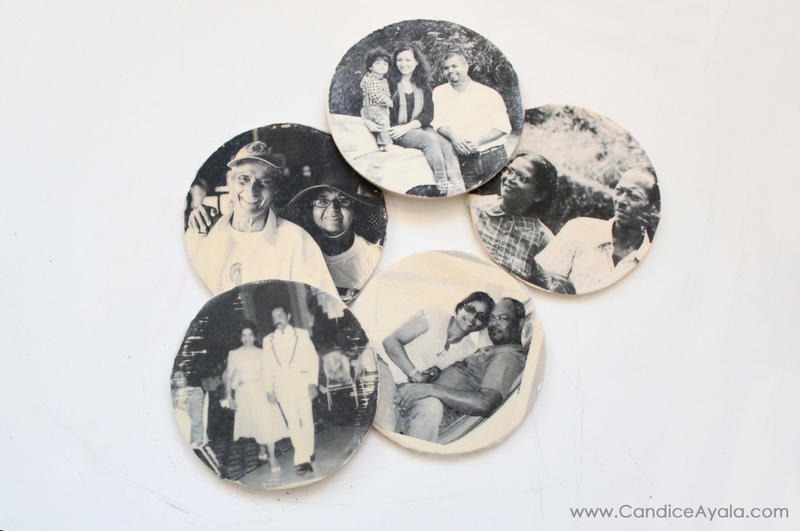 Then, with a brush, apply an even (but not too generous) coat of the Liquitex Gel Medium and smooth your picture on to the wooden circle. 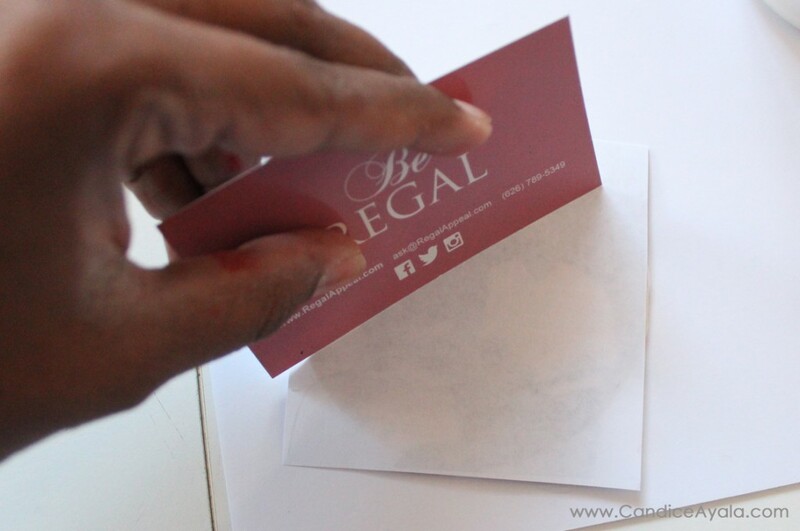 Tip: You can use a sturdy card, like a credit card to smooth out any air bubbles that might occur. STEP 2: Leave to try for at LEAST 4 hours. I left mine to dry over night. 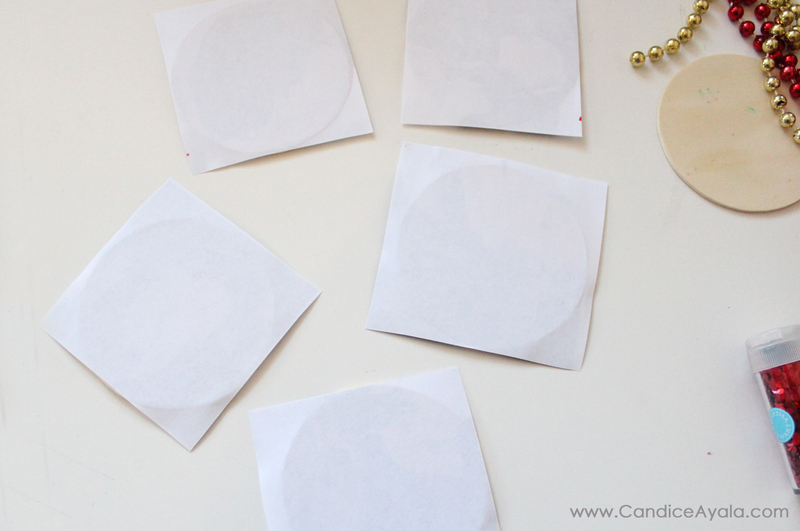 STEP 3: REMOVING THE PAPER. Lay the bigger towel down and place the circles on this. This will be your “working mat”. Take the smaller towel/rag and soak it with water. 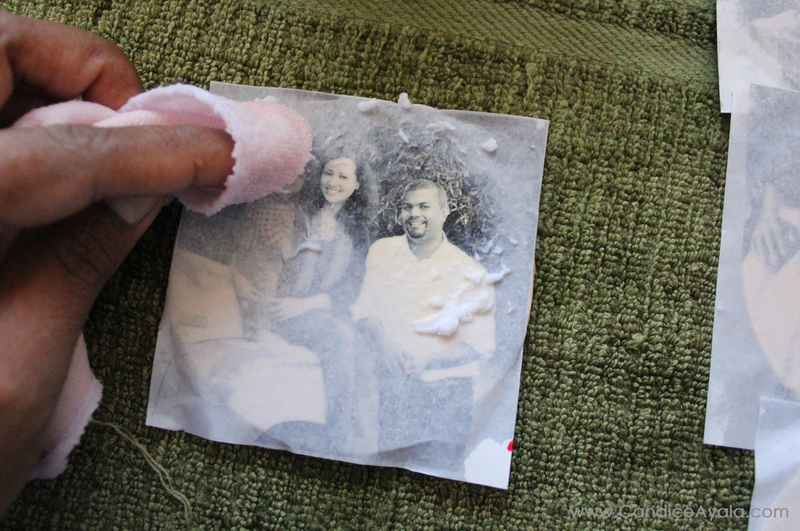 Squeeze out the excess water from the rag and lay it on top of your photo transfer. Press and tap lightly to make sure that the transfer gets completely soaked. 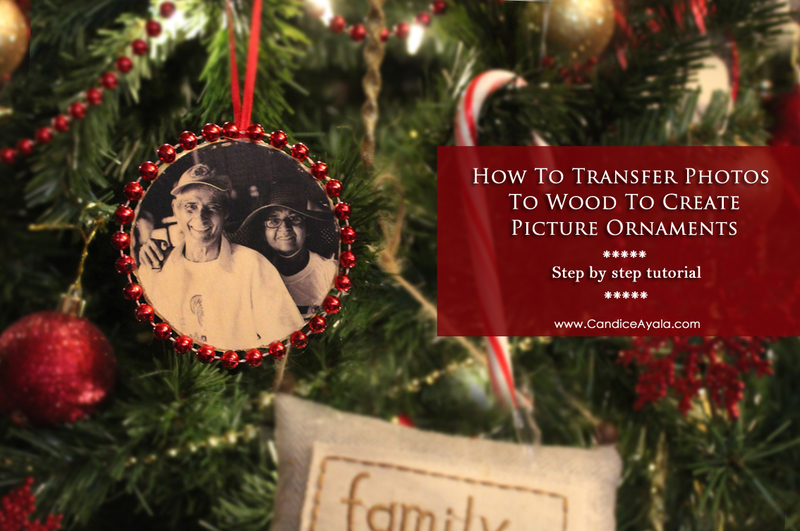 When you’ve figured that the transfer is completely wet use the small towel/rag to gently scrub the paper fibers away to reveal your picture. This will take some time, so be patient. STEP 4: Once you’ve removed all the paper fibers, leave to dry for an hour or so. 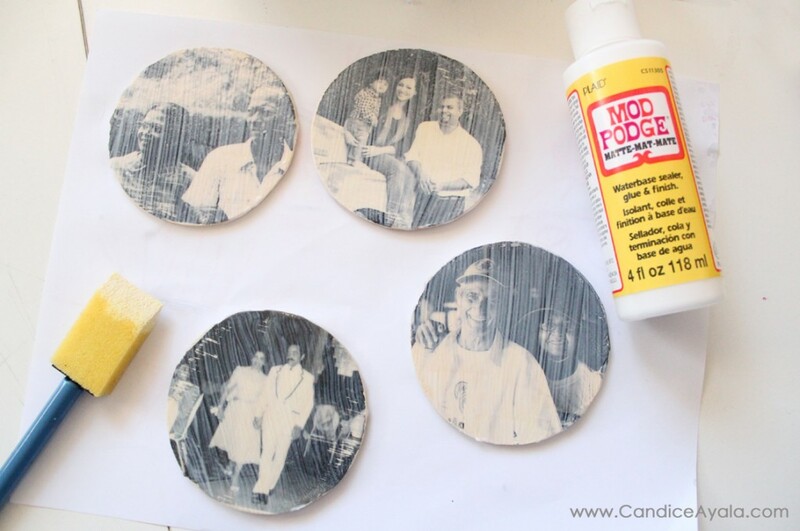 STEP 5: Once the wooden circles are completely dry use a brush to apply a generous coat of Mod Podge Matte Waterbase Sealer and Finish. 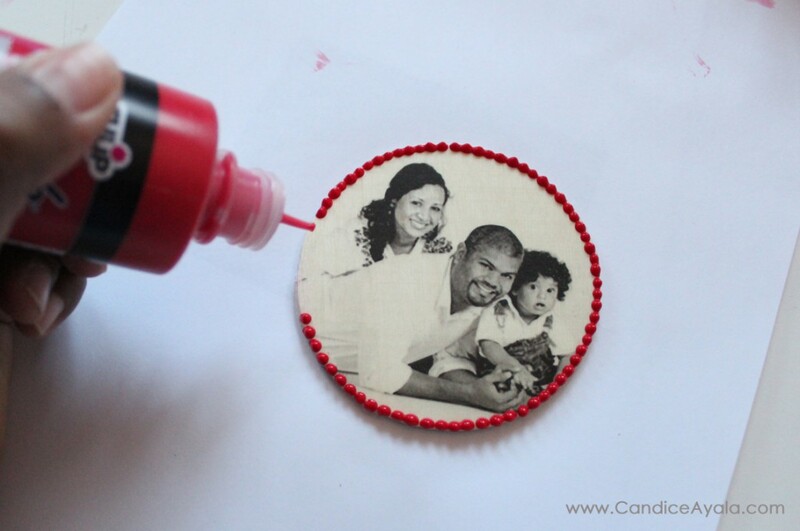 This seals and finishes the photo transfer. Leave to dry for about 2 hours. 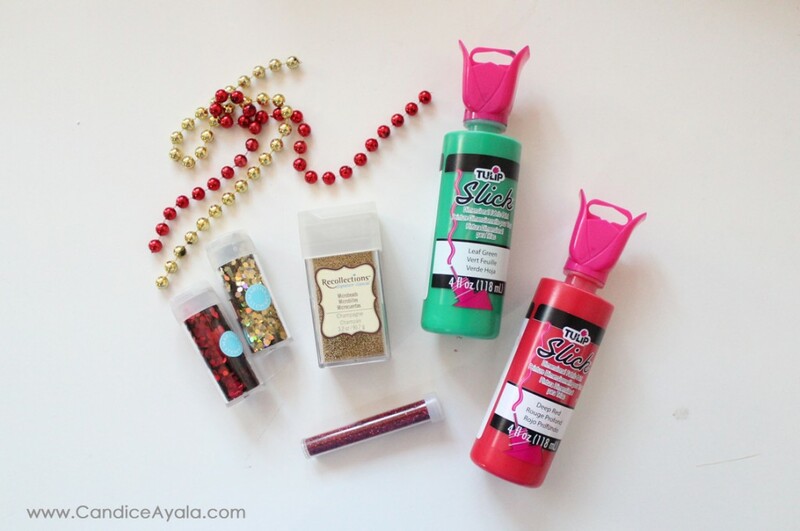 STEP 6 : IF you fancy, decorate your ornament! Abigail had a great time deciding who got what decoration. STEP 7: Cut strips of ribbon about 3 inches long. 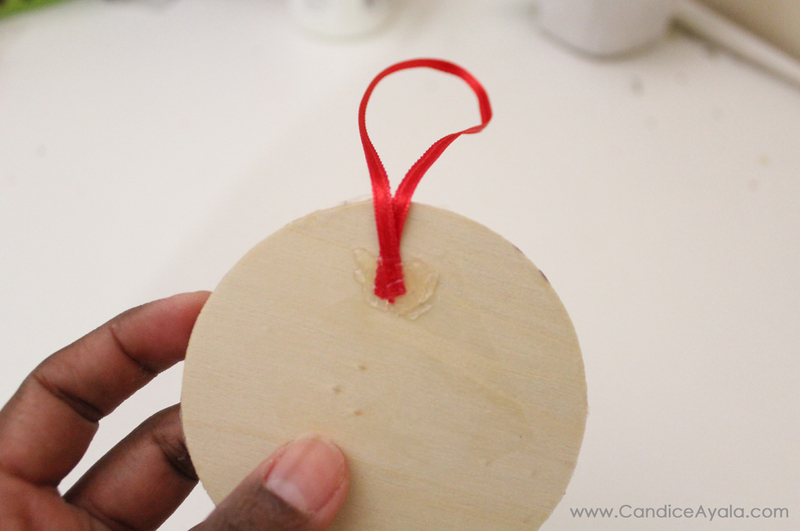 Then use the hot glue gun to glue the ribbon ends on to the back of the ornament. This creates a loop for hanging. 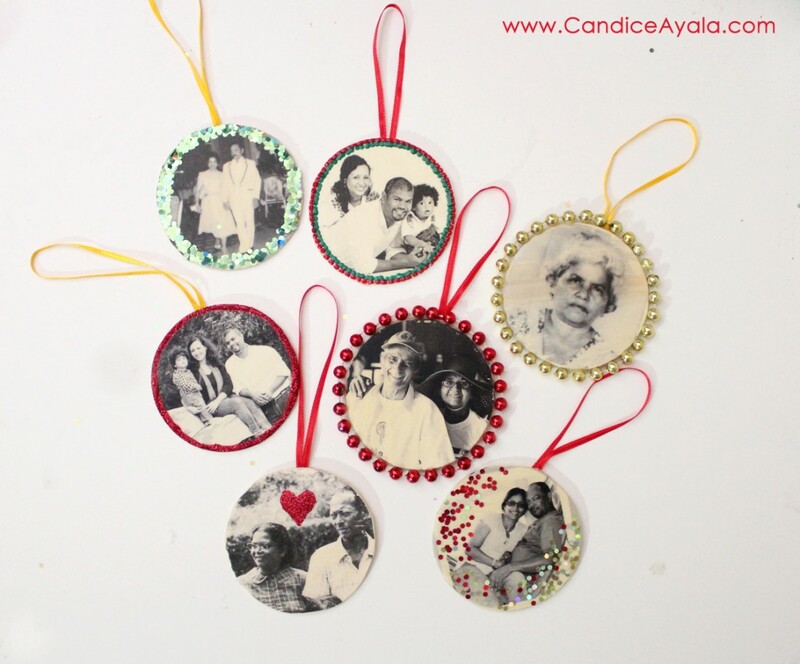 These ornaments represent family we can’t be with for Christmas, but they came out so nice that I think I’ll just go ahead and do one for all of us! haha! I love these ♡ I know I can get modge podge in town so thanks for testing that it works in place of the gel medium. Can’t wait to try it! Thank you Nina! 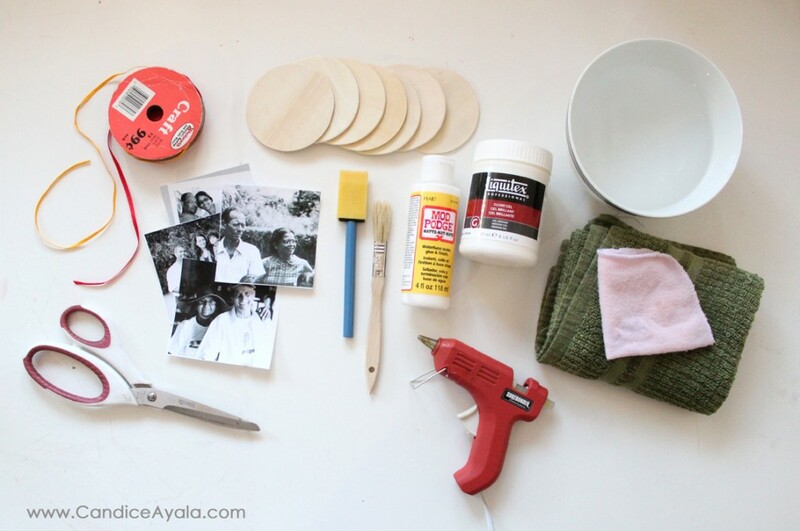 Yes, it works just as fine, also make sure that your wooden circles are not varnished or treated – it works best that way. I’ll make a note in the tutorial about that now.